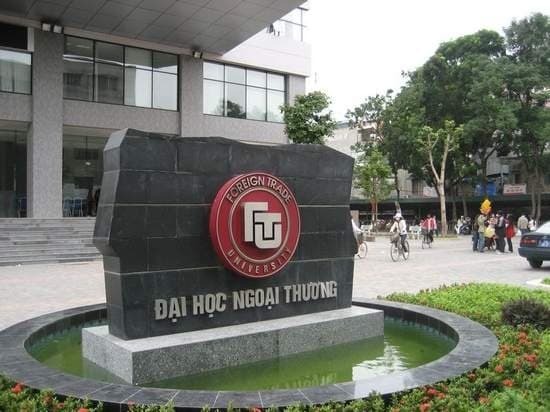 Foreign Trade University (FTU) is among Vietnam’s best schools. It is based in Vietnam’s capital and number one tourist destination, Hanoi. This alone provides a great opportunity for FTU students to take advantage of Backpack’s network, because, as a city with a ton of traffic from tourists, both incoming and outgoing, Hanoi is a very easy place to quickly receive items via Backpack’s network. FTU students focus on logistics, marketing contracts overseas, and export/import activities. Generally, the international trade topics the students learn about are experienced in a purely theoretical fashion, but Backpack creates a cheap and easy way to engage in international commerce or trading. Whether it means transporting items to sell, receiving items to buy, or transporting important documents, using Backpack would enable FTU students to elevate their studies from theory to practice. A notable aspect of FTU student life is the frequency with which students take part in exchange programs. The exchange programs take place in Europe or other Asian countries, often in economically undeveloped areas. As the product market in Vietnam is not as accessible as in the US (no one-stop shops like Amazon or Target), FTU students travelling to remote areas in other countries could become extremely popular as Backpack carriers – people back in Hanoi or other parts of Vietnam would likely clamor for items they could not obtain locally. Backpack therefore creates the opportunities both for FTU’s students studying abroad to help out their community members by salvaging hard-to-come-by items and to offset some of their travel fees, an obstacle keeping some FTU students from taking semesters abroad in the first place. With Backpack, international commerce – for business dealings or simply for recreation – and overseas travel become a breeze. Hanoi’s Foreign Trade University students are just one of the many demographics that could benefit from becoming Backpackers.